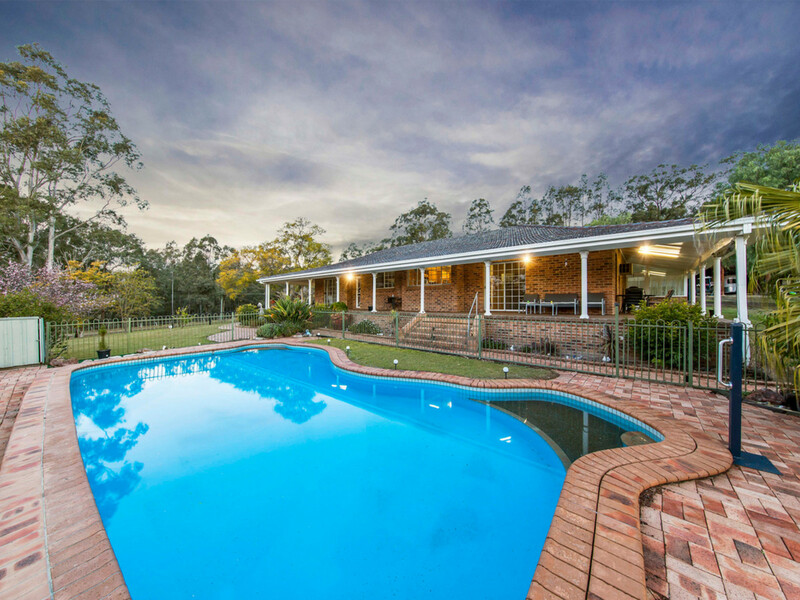 A dream property in a dream location!! 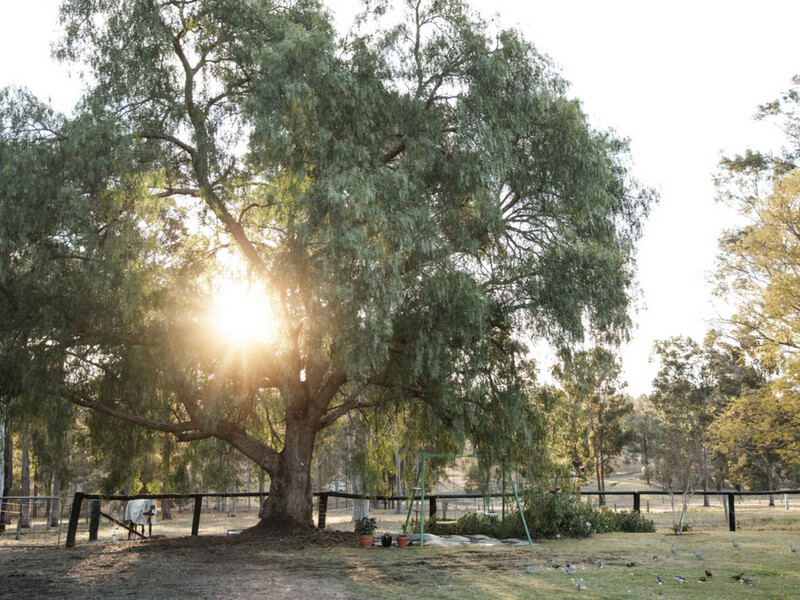 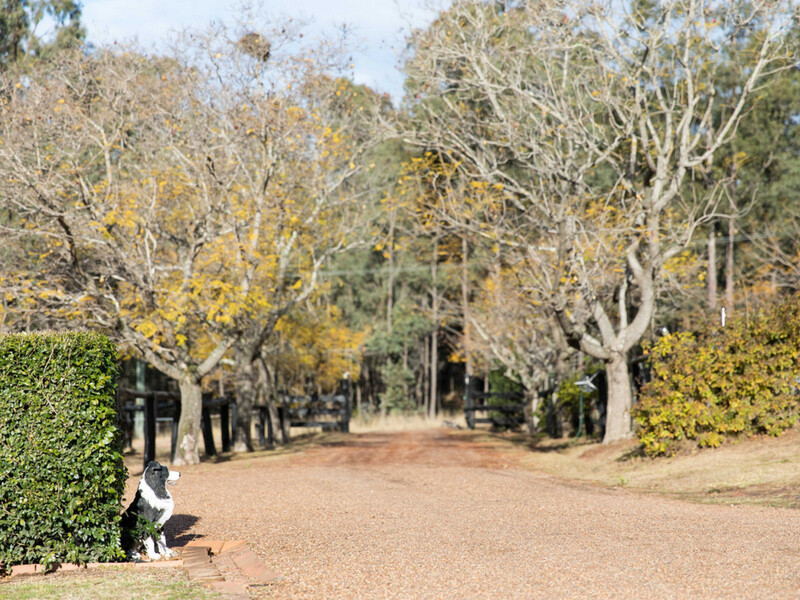 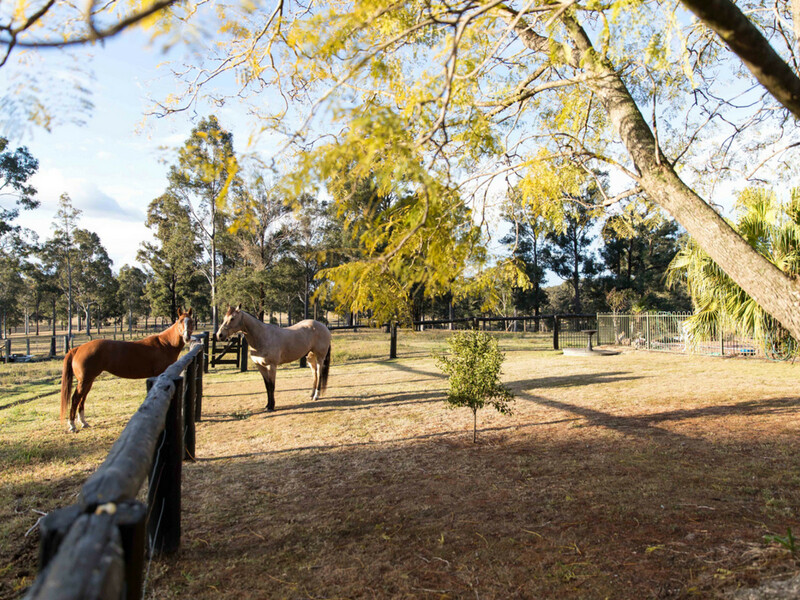 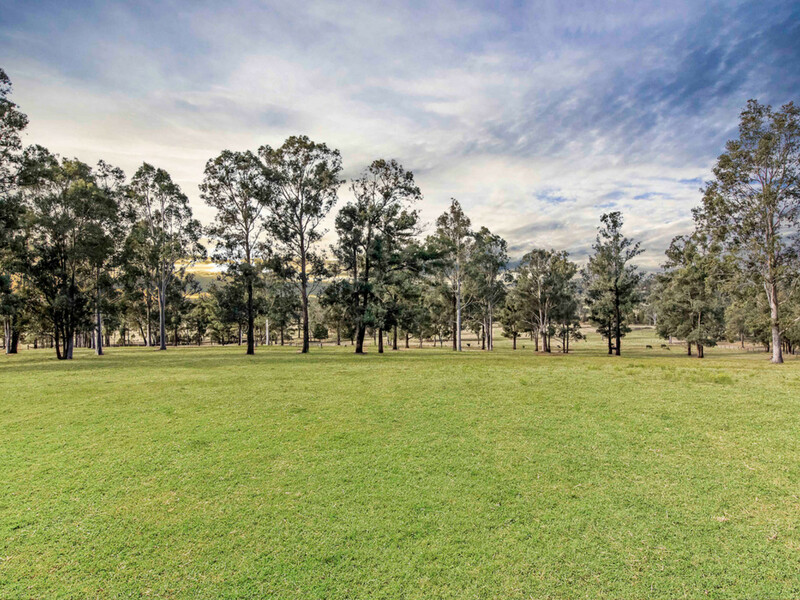 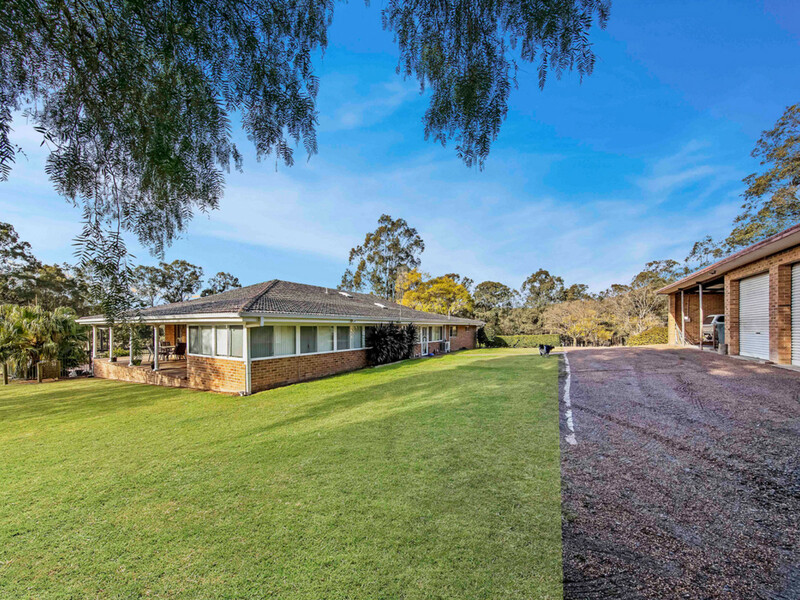 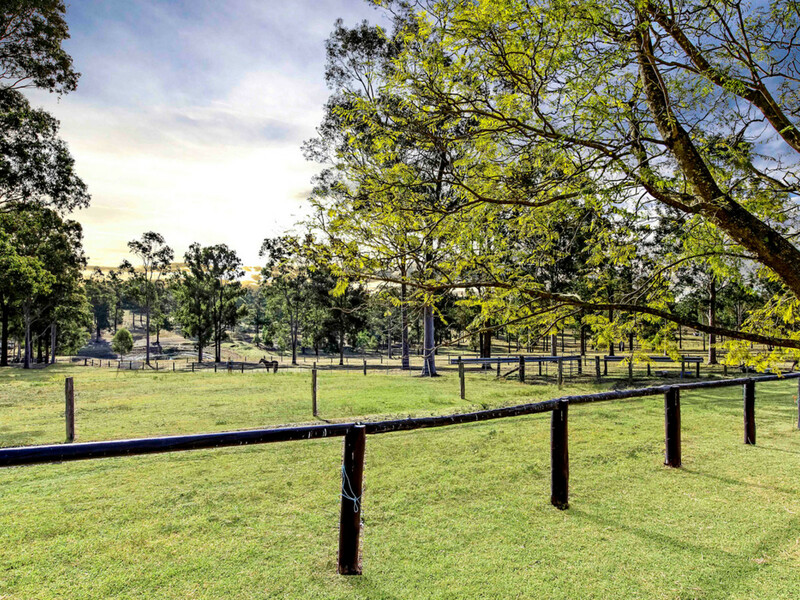 Located just 9km from Cessnock’s CBD, under ½ hour drive from Pokolbin, Lovedale and Mount View’s wine districts, Maitland and Toronto, under 1 hour from Newcastle and just over 1 hour from Wahroonga, this amazing 90 acre property has direct access to hours of riding trails. 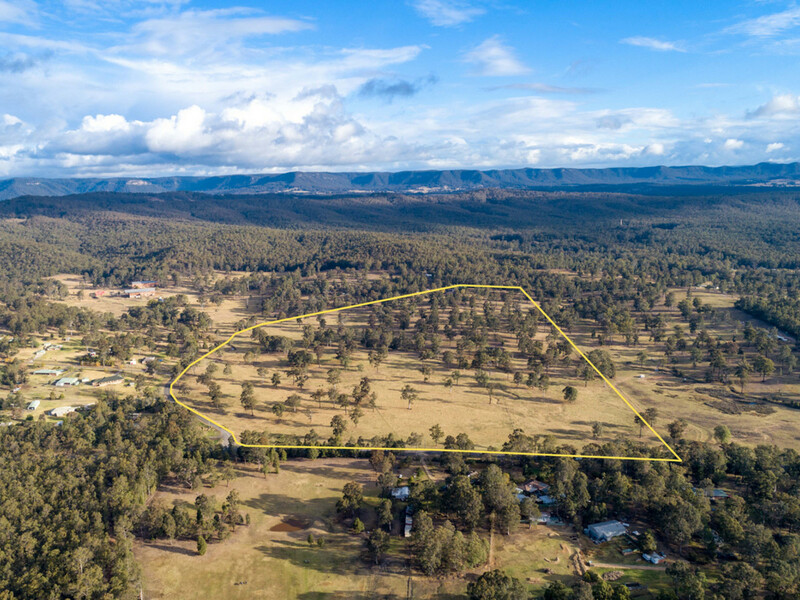 Fenced into 7 stock paddocks and 3 horse yards with electric stays and watered by troughs connected to town water, the fertile property with creek flats and a great set of timber cattleyards, has a long history of pasture improvement consistently turning out ‘sale topping cattle’. 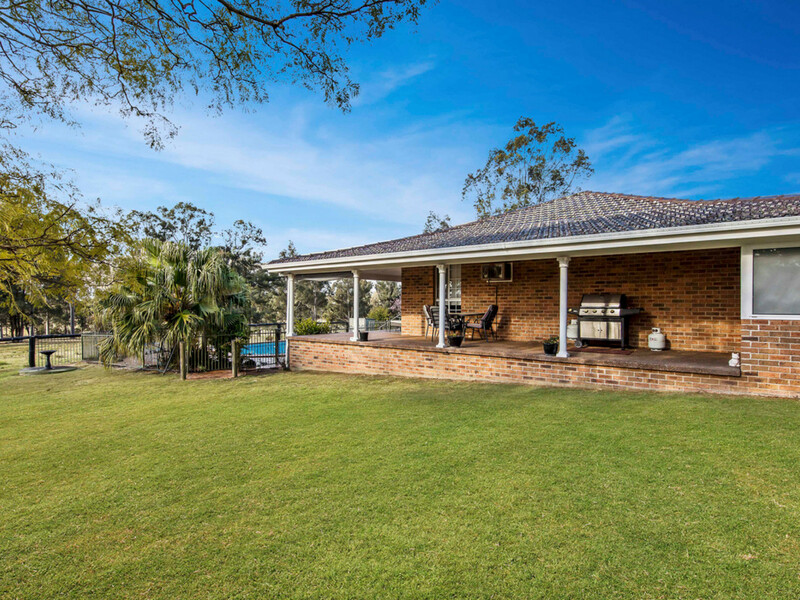 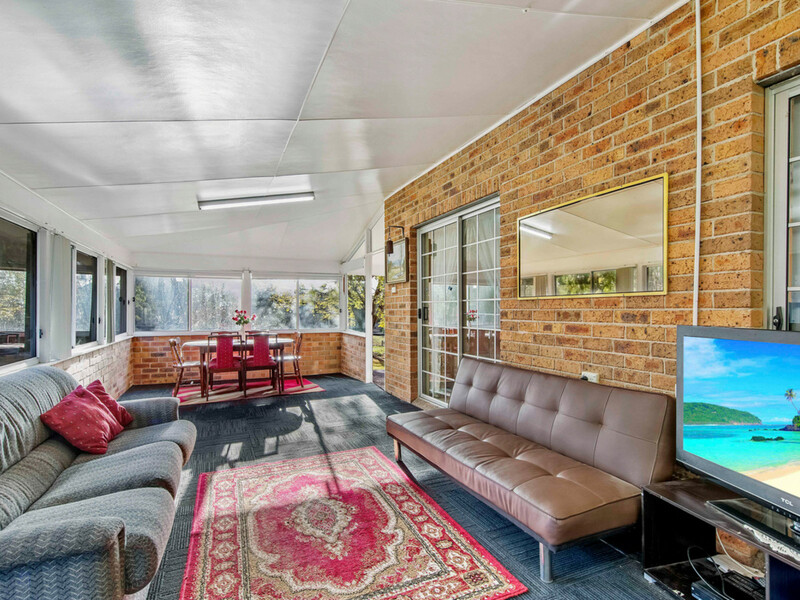 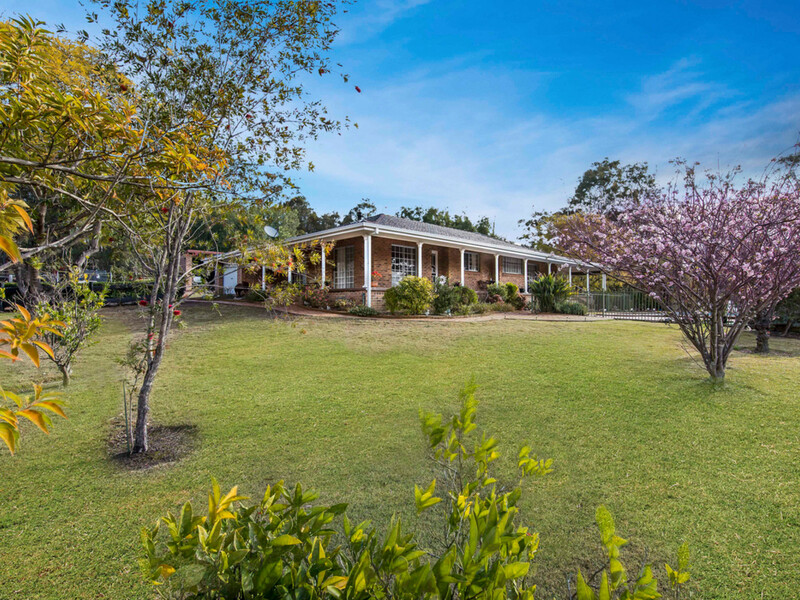 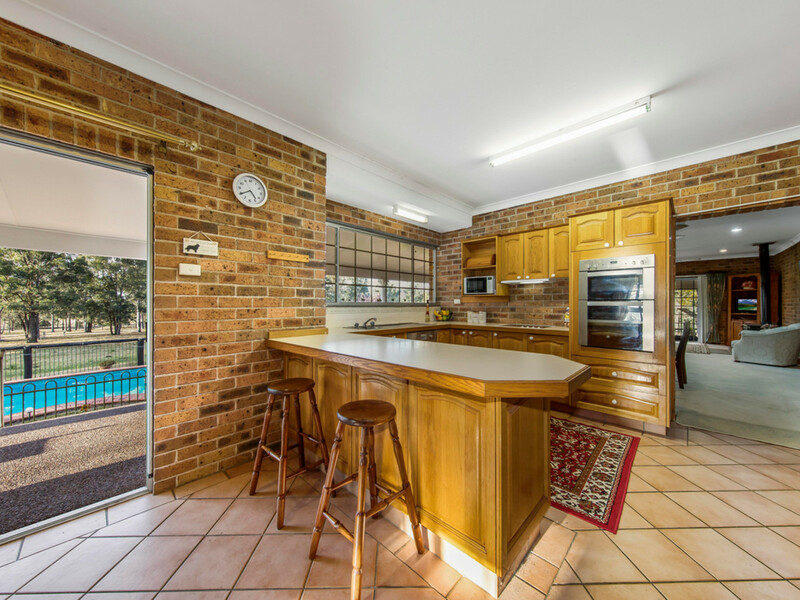 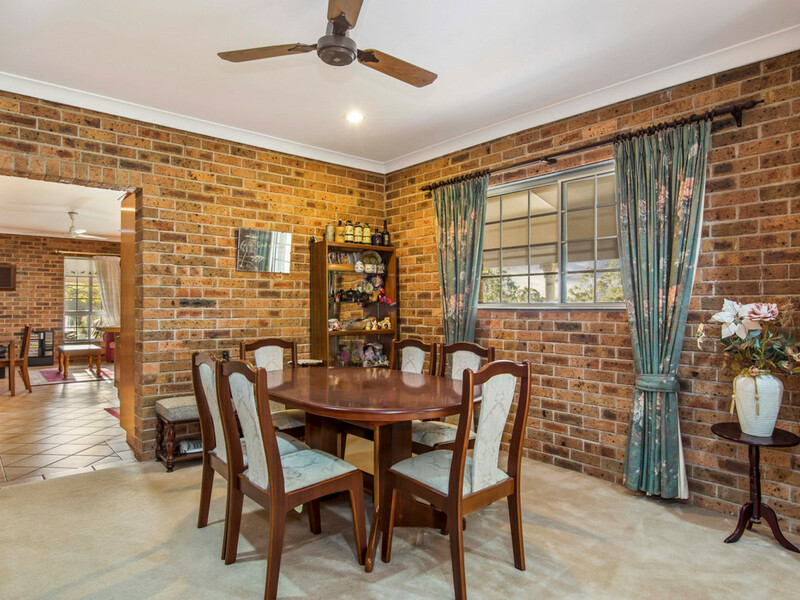 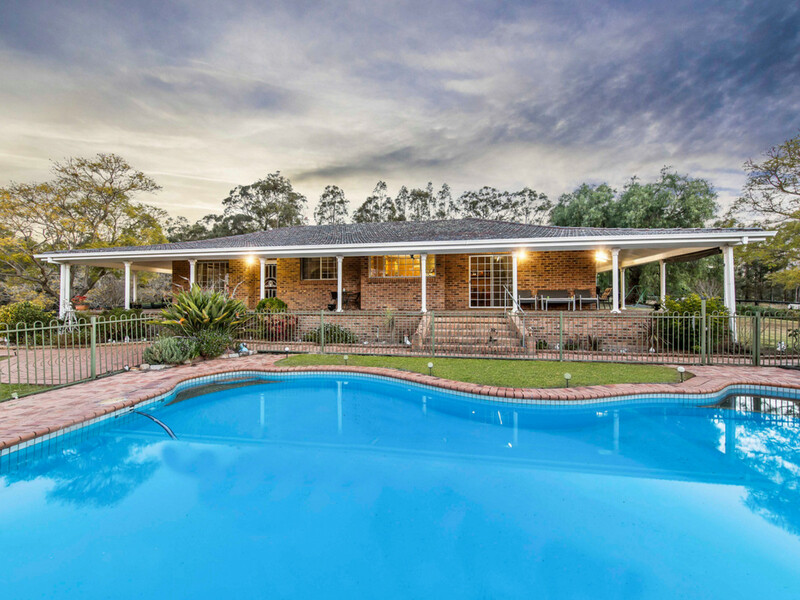 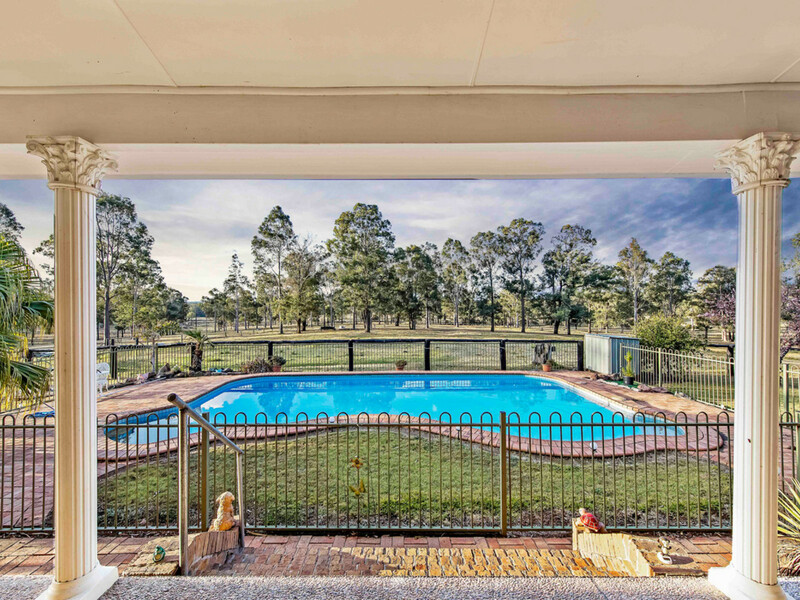 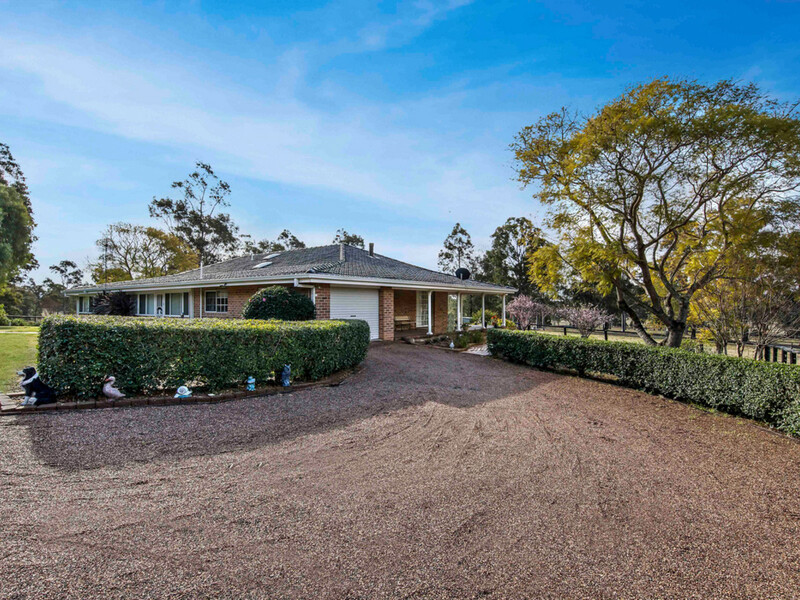 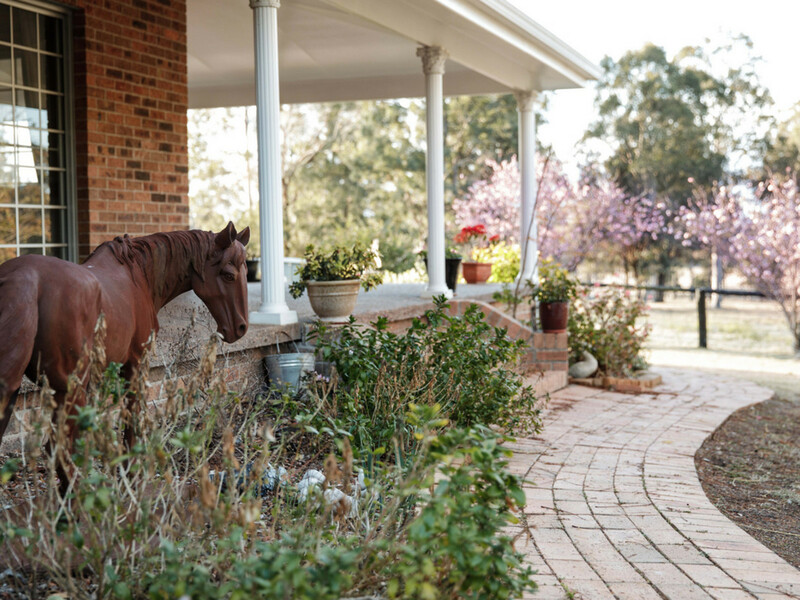 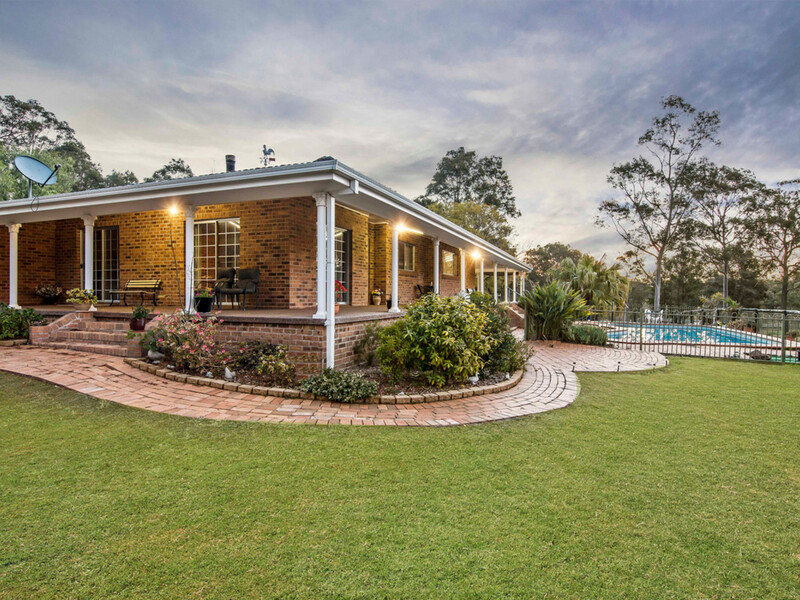 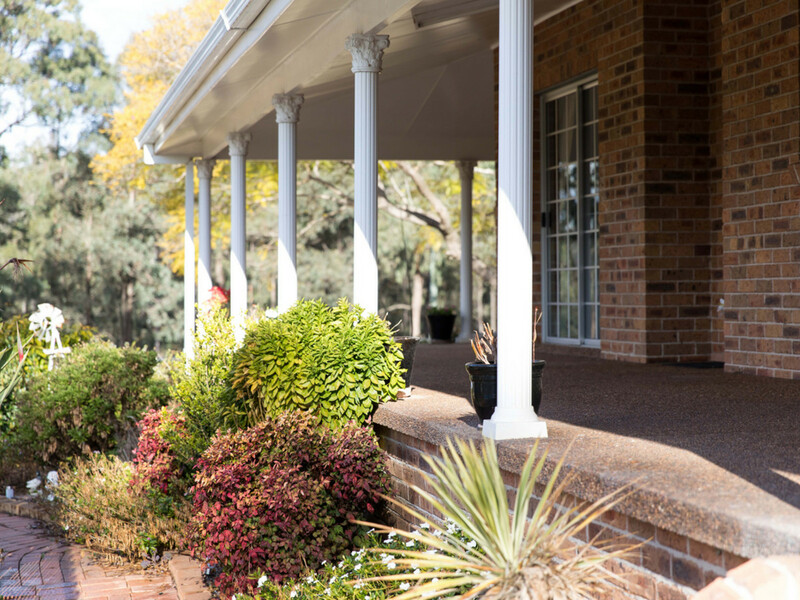 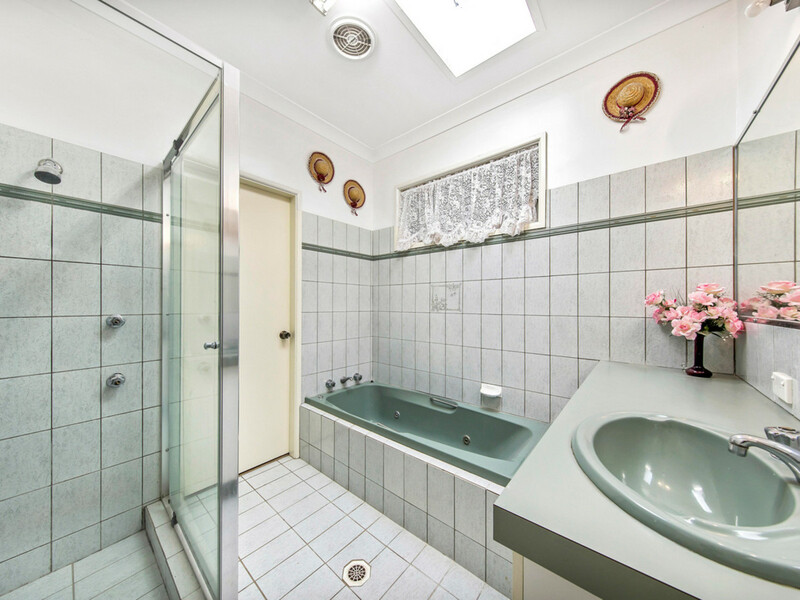 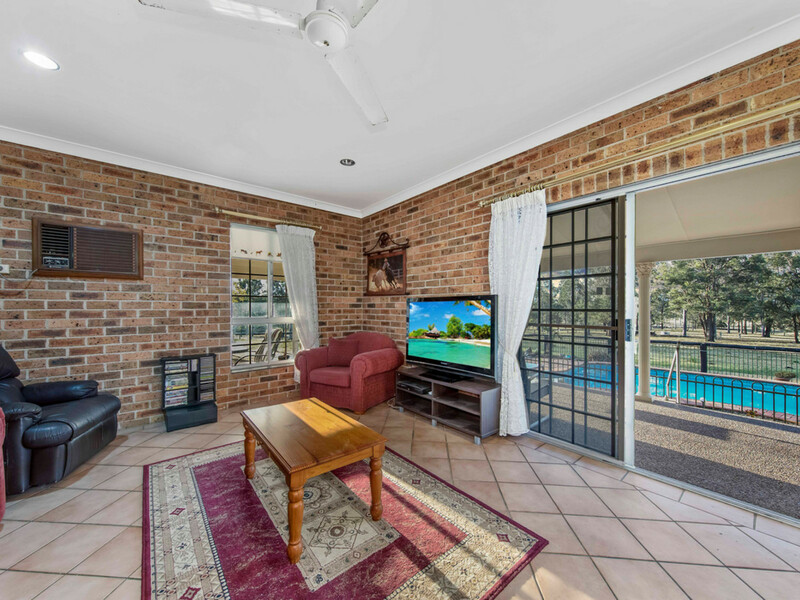 The majestic north facing double brick country home is privately placed to the rear of the property overlooking the in-ground pool, giving it a great vantage point to keep watch over your livestock and the children at play. 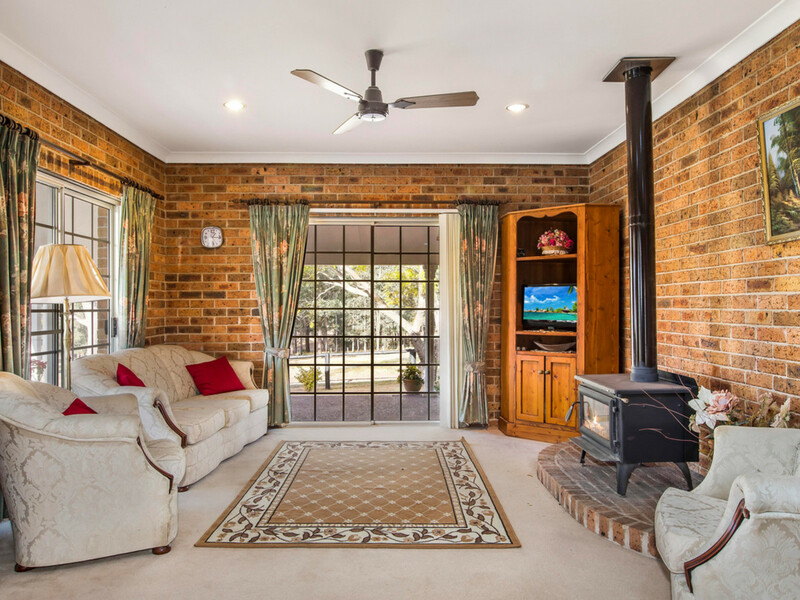 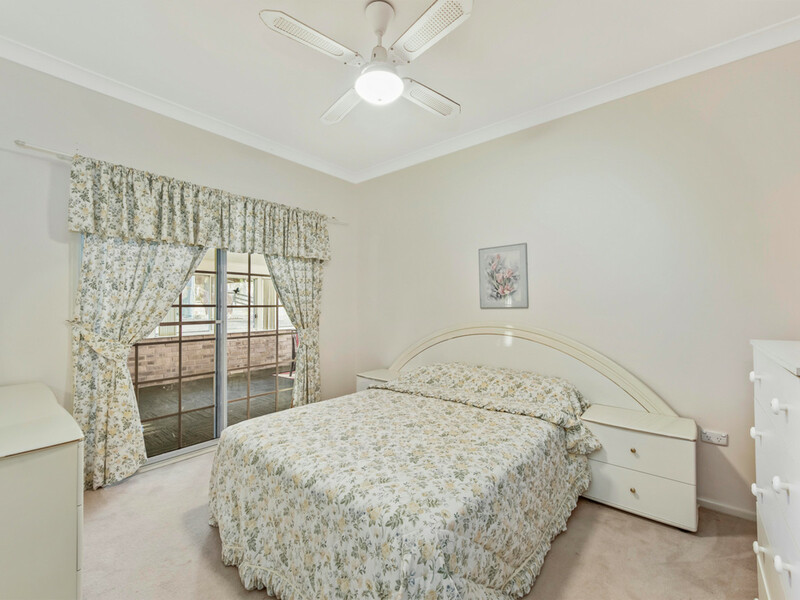 The home features 3-bedrooms, study, open plan kitchen family and open plan dining lounge, combustion fire, study, large entertainment/sun room and wide return verandah. 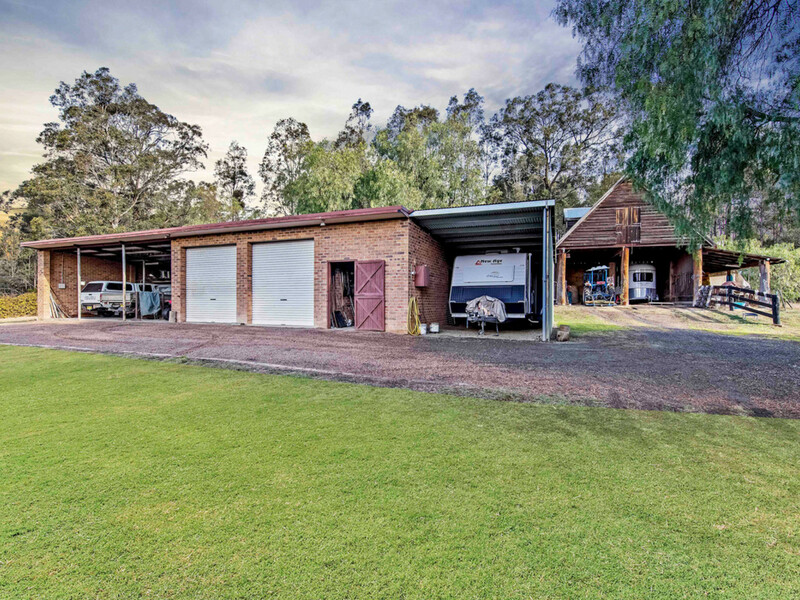 There is plenty of room for your cars, toys and for tinkering, with a garage with internal access to the home, a massive brick machinery shed comprising of 3 open bays, 2 lockable bays, separate tack room, bathroom and additional caravan/float shed and a massive slab timber barn with loft and side awning that could be put to a multitude of uses including tractor / hay storage / conversation to stables / loft conversion to office/teenagers retreat. 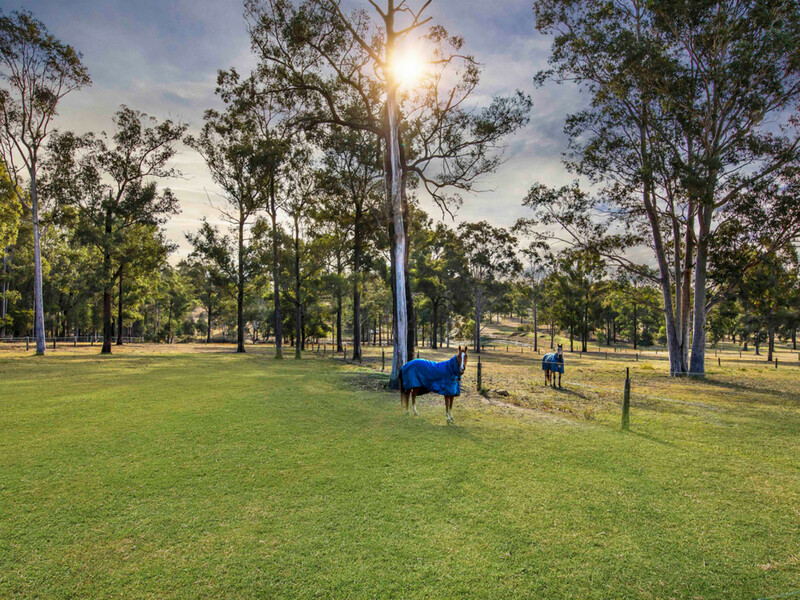 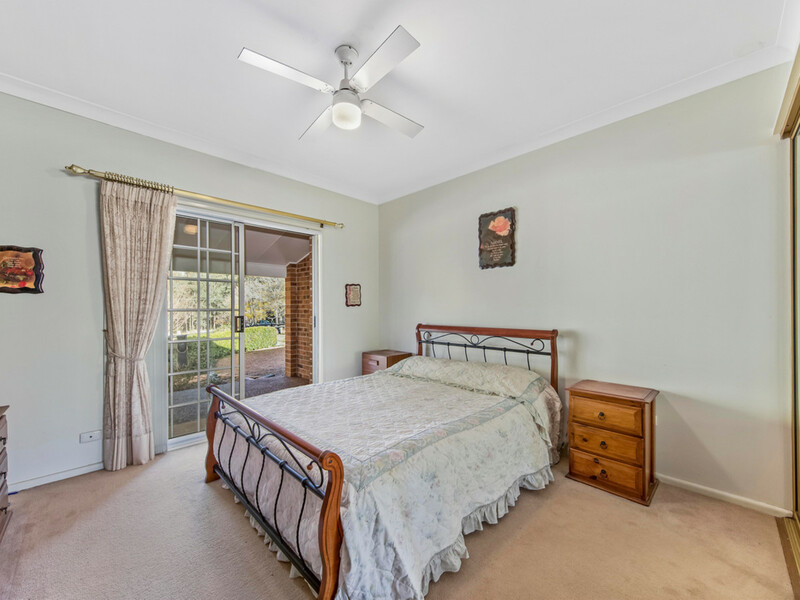 This remarkable property has a higher stock carrying capacity than average, is extremely well set up, is brilliantly positioned, with town water, school bus pick up at the corner and riding trails at the back gate. 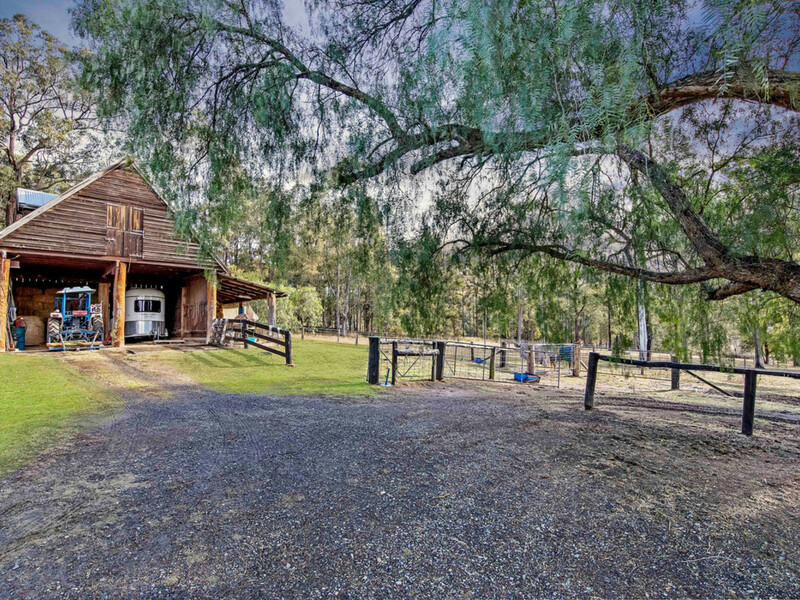 A dream property for the avid horse and bike rider and/or hobby farmer.